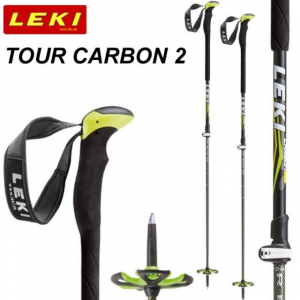 When you think of LEKI, you normally think of ski poles. Fair enough, as they are a premier pole manufacturer and dominate a huge segment of the market. But, did you know that they also make a sweet line of gloves and mitts? Yep, it turns out that LEKI has some pretty spectacular handware that is both functional and durable. 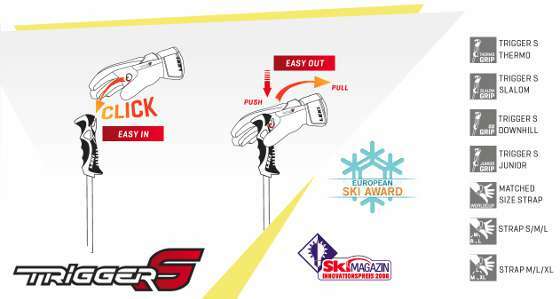 LEKI offers great gloves for nearly every kind of ski-related activity. Two of my favorites for touring are the Griffin S Lady (left) and the Tour Precision (right). LEKI really put some thought into designing the Griffin S lady glove. The sheep and goatskin leather on the exterior is soft and flexible, allowing for a lot of dexterity. Yet, the PrimaLoft interior keeps my hands dry and warm. The cuff is on the tighter side – and while that does sometimes interfere with me being able to see my watch, I appreciate it’s functionality in keeping additional warmth and preventing snow from getting inside. I often gravitate to this glove for so many different things. I love using it while touring with it on average to cold temperature days. And the moisture wicking is so good that I often find myself not needing to change to a different pair of gloves for the descent. And durability – they’ve nailed that part. I have used these gloves more than any other pair in the last year and they are barely worn. 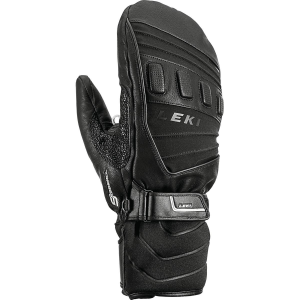 LEKI’s Tour Precision is a very lightweight glove that I like to use for touring on warmer winter and spring days. It’s not very waterproof, so I don’t always like it when I need to get my hands down and dirty in the snow, which often happens when boot-packing with an ice ax. But, I do find that this glove is top-notch for skinning. 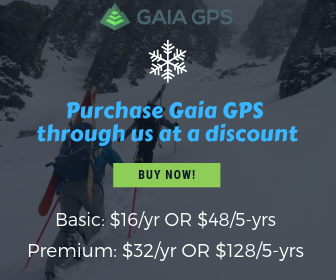 The Tour Precision has a leash attached so that you can “drop” the glove on the move to use your bare hands for tasks like operating the navigation system on your mobile phone. The outer soft-shell style material keeps my hands protected from the wind and immediate cold. The silicone textured into the palm and fingers provides substantial grip while the thin material allows for ultimate dexterity. And after using these gloves regularly for over a season, they still look almost like new. LEKI has also released a new style of glove for 2018-19 – the Xplore XT glove and the Xplore XT mitten. I haven’t had a lot of experience in using these products just yet, so I can’t speak to their durability. But I can tell you that the Xplore XT glove and mitten have a waterproof softshell outer membrane with a goatskin palm that allows for a great grip. They are also super soft on the inside and insulated with PrimaLoft to keep your hands warm and wick away moisture. Both models come with the LEKI leash and a large cuff that can easily fit over your warmest coat and then cinched down. Another strap at the wrist can be tightened or loosened to adjust for comfort and warmth. And I never use this feature on any glove, but they also come with pockets on the exterior of the hands for hand warmer inserts – I prefer to put these inserts directly into the glove. The mittens have interior “gloves”, so your fingers remain separated. 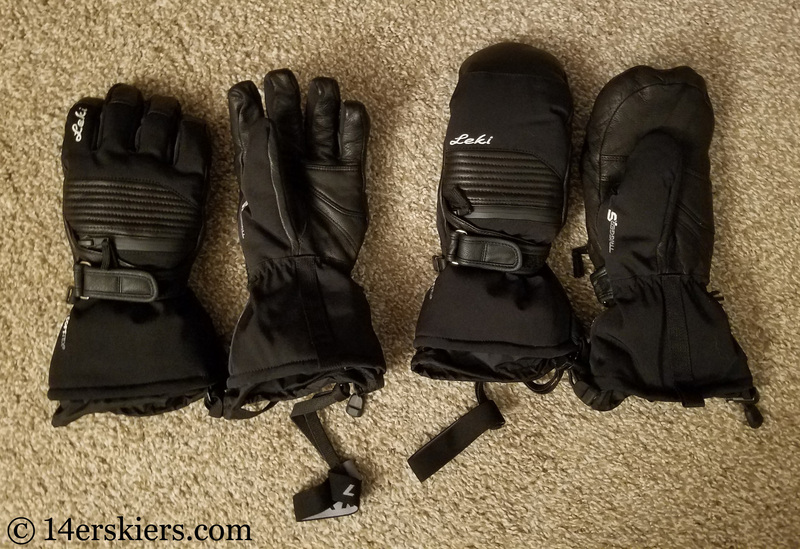 These gloves and mittens are designed for the colder days and will be ones that I use the most in the upcoming months. All gloves and mittens from LEKI come with a TriggerS loop on the inside of the grip near the thumb. The TriggerS is a special design that works with many LEKI poles that eliminates the need for a pole strap. It’s an innovative design that improves safety of poles. For example, how many times have your baskets snagged on a tree or other object and nearly rip your hand off? Or maybe strain your wrist? This design prevents that from happening as the system will release your hand when needed. Similarly, the dreaded skier’s thumb is created by the thumb bending backward usually during a fall where the strap is wrapped around the wrist/thumb of a skier, causing the UCL to tear. Having had surgery to repair a torn UCL myself, I can say that this design virtually eliminates injuries caused from poles. That said, I can also say that this design impacts the swing of the pole and is something to get used to. In addition, I often will “drop” my poles and let them rest via the straps on my wrist while I’m doing miscellaneous things or standing in the lift line. If you try to do this with the TriggerS, you will find your poles will just come disconnected. So, it’s certainly an adjustment. Personally, I still prefer traditional straps in the backcountry for this reason. But, having gloves and mittens equipped with a TriggerS loop allow me to switch back and forth between poles with and without the TriggerS grip, depending on the day. When skiers think of high-performance gloves, companies like Hestra and Gordini, and maybe even Swany, often usually come to mind. But, LEKI has strong products that can often outperform these traditional brands. 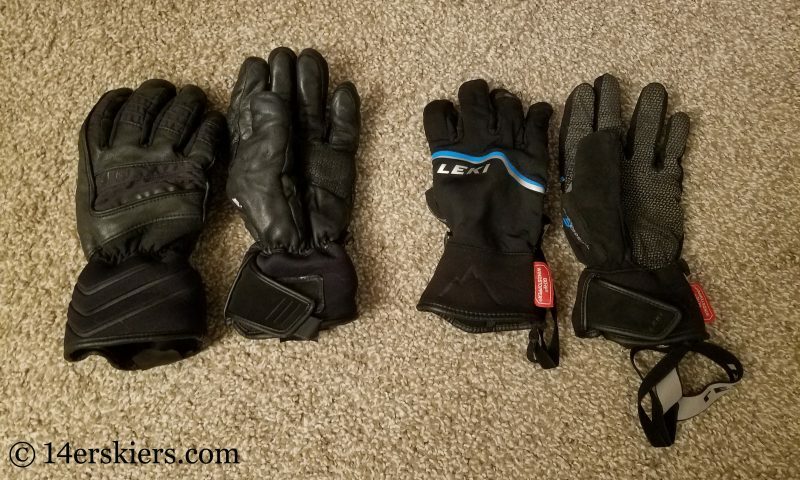 After having used the highest models of Gordini gloves and mittens in the past, I can say that I am much happier with the durability of the LEKI brand in comparison. LEKI gloves keep my hands warm and dry time and time again, for much longer than any other brand of glove that I have ever owned! 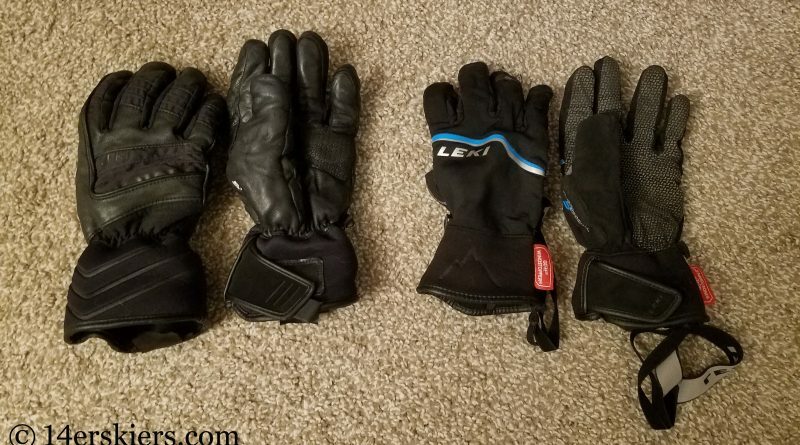 A review of the performance and durability of various LEKI gloves and mittens including the Griffin S, Precision Tour, and Xplore XT.